City dwellers who want to get right away from it all are sure to have an awe inspiring experience when visiting Australia’s vast outback region. Northern Territory’s Nitmiluk National Park located out of Katherine gives the visitor the opportunity to experience the region’s history, culture and beauty, that’s found in this magnificent area. Whatever it is you’re looking for in a holiday, Nitmiluk National Park has plenty of outdoor pursuits that will get you right back to nature. From exploring walking trails to adventure activities and abundant wildlife, there’s sure to be something to ignite your passion. The best way to experience the overall vastness of the area is by air, especially by helicopter. They allow passengers to see huge panoramic vistas, that are impossible to be seen if travelling by car or hiking. Whether its just purely for sightseeing or for those with a specialised interest in seeking out the culture and wildlife, helicopters provide access to areas that would probably be unreachable or take days to visit if going by car. Helicopters are essential for photographers who want to capture those unforgettable images which could never be taken from the ground. 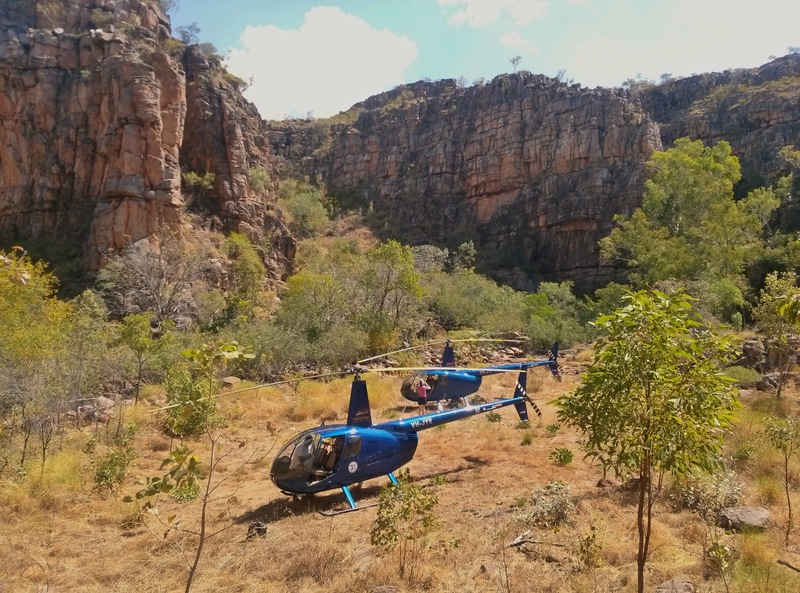 Nitmiluk Tours has launched a new extended scenic helicopter tour over Nitmiluk Gorge and surrounding areas to cater for the increasing popularity of scenic flights. “Helicopter touring is fast becoming one of the most popular methods of seeing this vast region” said Corinne Lewis, Marketing Manager Nitmiluk Tours. “From the air you can get a real appreciation of the vastness and majesty of the landscape, combined with the thrill of the helicopter experience. We have seen the popularity of helicopter touring grow and as a result have developed a new itinerary that offers more landscapes, more experiences and more fun more at a value for money price”. The new 13 Plus Flight offers guests the best of the region. It combines a spectacular flight over the 13 gorges that make up the Nitmiluk Gorge system and includes an extended tour of Seventeen Mile Valley to view the Northern Rockhole, Biddlecombe Cascades, Crystal Falls, and Seventeen Mile waterfalls. Upon return, guests can spot the wild Buffalo that roam along Seventeen Mile Creek as the tour follows its way back towards the Katherine River. This tour is a 30 minute action packed experience. Nitmiluk Scenic Tours depart from the helipad located just a three minute drive from the Visitors Centre within the spectacular Nitmiluk National Park. This offers the best value for money as there is no ferry time wasted getting to and from amazing sights. All tours offer magnificent views from the air with photo and video opportunities of Nitmiluk Gorge, the Arnhem Land escarpment, waterfalls and local wildlife. 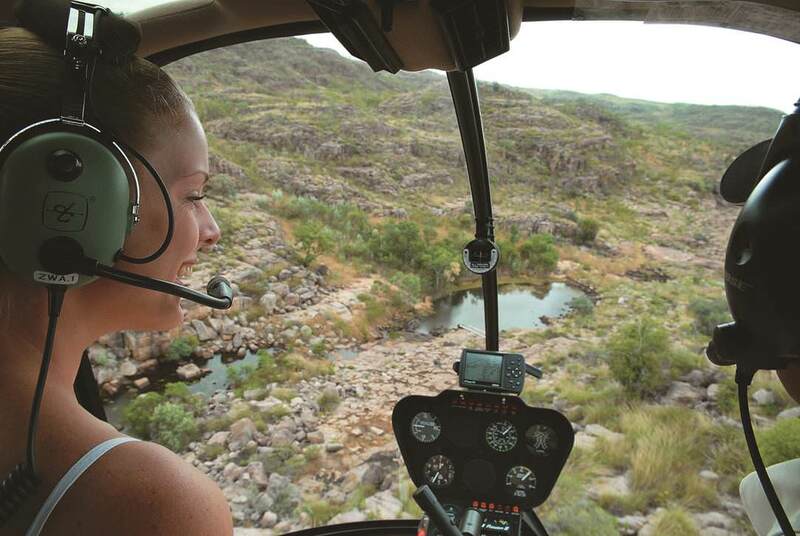 Nitmiluk Tours is the only company permitted to land inside the National Park, offering a unique selection of breathtaking landing options at waterfalls, swimming holes and ancient rock art sites that are only accessible by helicopter. 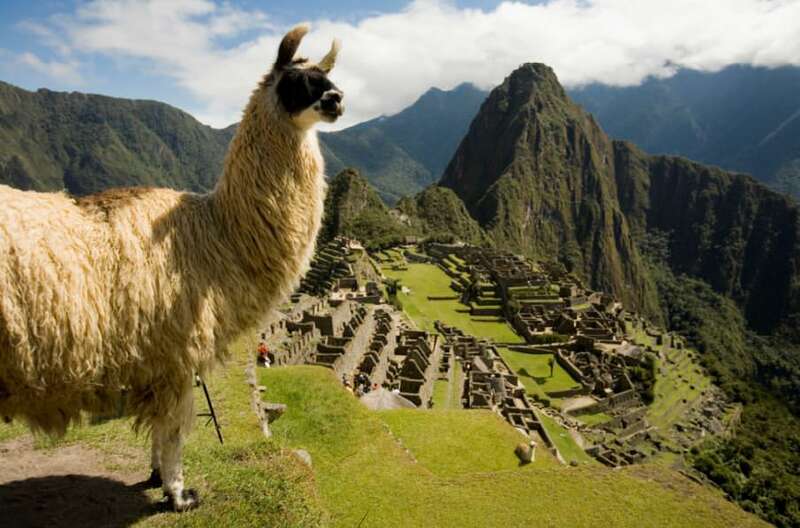 Peru now has a total of 12 World Heritage Sites, with the recent inclusion of the Great Inca Trail. In June UNESCO granted the Inca Qhapaq Nan road system, also known as the Great Trail, the prestigious World Heritage status. The road system includes 273 component sites along the route and extends more than 30,000 kilometres. It is also believed to have been used by the Spanish when they arrived in South America in the 16th Century. Many other roads were built during this time through the lush mountain peaks, which were so intricately woven by the Incas that to this day, new routes are still being discovered. Around the same time as the Great Inca Trail World was granted World Heritage status, another trail was discovered when a team of Peruvian archaeologists recently found a new trail leading to the mysterious Machu Picchu citadel in Cusco. 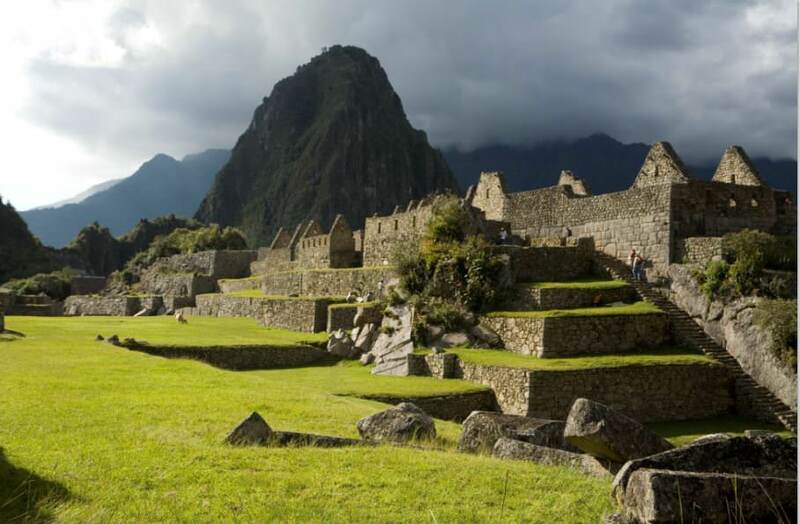 The discovery was announced in June by the director of the Archaeological Park of Machu Picchu, Mr Fernando Astete. The new road, which begins at Wayraqtambo, leads up to a platform where travellers can see the Incan ruins at Machu Picchu from a completely different angle. Even with much of the road still heavily covered by thick vegetation, it is thought that this exciting discovery will change the way the world sees Machu Picchu. The new trail to Machu Picchu is approximately a mile long and between 1.20 and 1.40 metres wide, dimensions vary with topography. Another impressive discovery along the trail is a tunnel, more than five metres long, located 2,700 metres above sea level. This recent discovery is further proof of the greatness of the Inca civilisation and highlights why Peru is now one of the most important archaeological destinations in the world. The new Inca Trail will certainly diversify the tourism product, giving visitors to Machu Picchu a different perspective and experience of this famous Inca citadel. Other World Heritage Sites in Peru are the City of Cuzco, Historic Sanctuary of Machu Picchu, the Chavín Archaeological Site, Huascaran National Park, Chan Chan Archaeological Zone, Manu National Park, the Historic Centre of Lima, the Abiseo River National Park, geographical Nasca lines and Pampas de Jumana, the historic centre of Arequipa and the Sacred City of Caral-Supe. Melbourne always has plenty of new experiences to offer the visitor, that’s why I keep going back. There is always something new and unique to try. 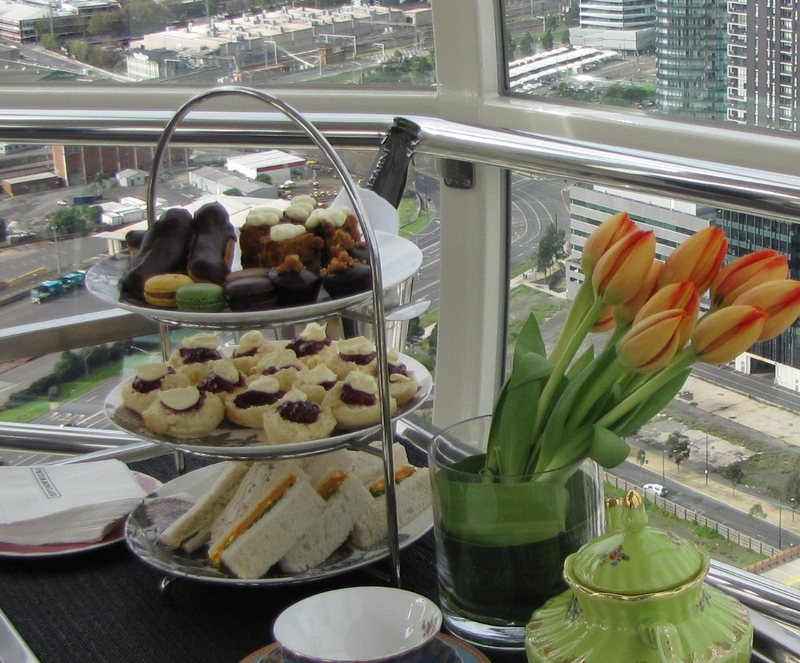 One new fun attraction is the Melbourne Star Observation Wheel, the only giant observation wheel in the Southern Hemisphere, where you can have the Highest High Tea in town. Climb aboard your private cabin and indulge in a selection from the gourmet food and beverage menu, delivered and served by one of Melbourne’s leading caterers, Peter Rowland Catering. The classic High Tea takes on a whole new meaning when home-made scones, delicate finger sandwiches and petite chocolate éclairs and pastries are enjoyed in the Melbourne Star’s air-conditioned glass cabins. While drinking your cup of tea, you can enjoy the unobstructed 360 degree views across the city’s CBD and Port Phillip Bay, across to Mount Macedon and the Dandenong Ranges. If High Tea is not your thing, why not try a selection from either the “Sky’s the Limit”, which offers assorted sashimi and sushi plus a prawn, oyster and cured salmon seafood box or the “Star 360” with its blini & smoked salmon and wild mushroom & white truffle frittata. The Melbourne Star keeps turning until 10 pm, with last admission at 9.30 pm, giving visitors plenty of time to try the special Melbourne by Dark selection of cheeses and much more. All packages include a choice of Victorian wines. If you decide to take a few friends along, they also have Premium cocktail packages for a minimum of 10 guests, with a full beverage trolley and an option for hot canapés. Whatever the occasion, from a couple wanting a memorable romantic interlude to groups wanting to celebrate a special occasion such as a birthday, engagement or anniversary through to tourists looking to enjoy fine local food while taking in a unique perspective of Melbourne, you will find a selection of food and beverages to cater for your every need. Whatever time of the day or night you decide to take a ride, from 10 am to 10 pm, you will have an unforgettable experience. Each delicious food package has been created so that it can be seamlessly transported onto a cabin, served and enjoyed during the 30 minute rotation. 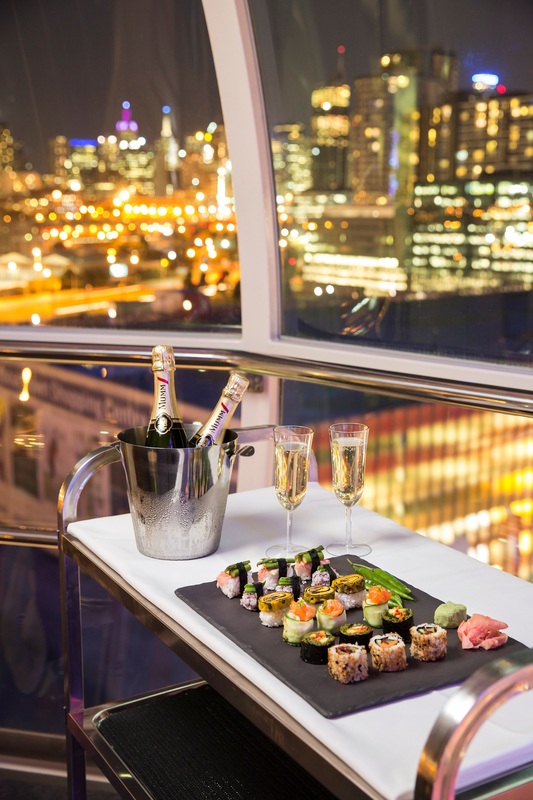 There is also the option of staying on the Melbourne Star to enjoy a second rotation, giving more time to enjoy the food, wine and spectacular views. For an even more adventurous experience in Melbourne, one that’s truly memorable, try an early morning hot air balloon ride over the CBD and the city’s leafy inner suburbs. 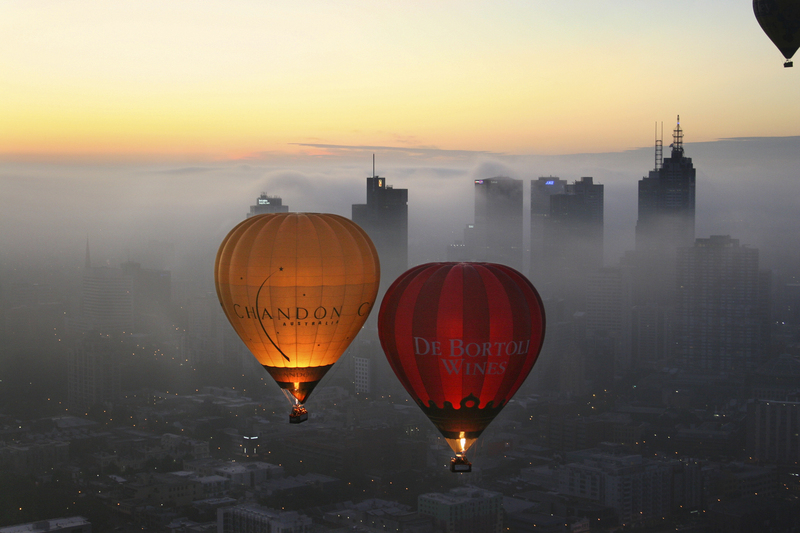 See dawn slowly breaking across the city while aloft in one of Global Ballooning Australia’s hot air balloons. With more than 15 balloons and the largest number of commercial pilots, they are Victoria’s largest hot air ballooning operator. This award winning company offers customers a diverse range of products and the highest quality service. Discover the beauty, history and culture of the Murray River between Mannum and Blanchetown, South Australia while sailing on board Captain Cook Cruises’ paddlewheeler “Murray Princess”. 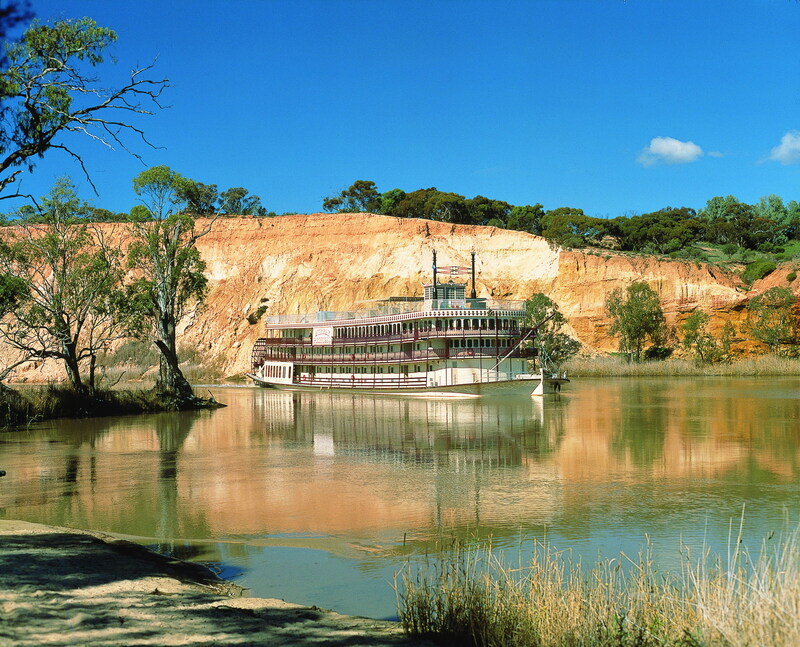 The four night cruise takes you past picturesque scenery as you cruise at a leisurely pace along the Mighty Murray. Sitting in the spacious glass walled lounge at the aft of the ship, you become mesmerised, watching the giant paddlewheel turn. The “Murray Princess” cruises past towering red limestone cliffs, through ancient gorges and along riverbanks lined with mallee scrub and red gum forests. Each day features exciting day trips to historic river ports, Aboriginal archaeological sites, a working sheep station and woolshed, a native wildlife shelter and vineyard and cellar door tasting. 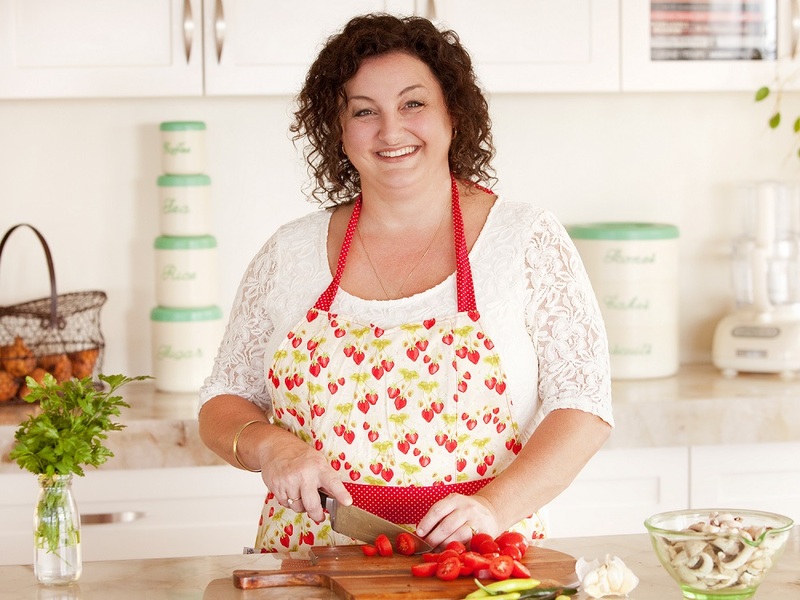 A special four night Murray River Celebrity Cook Cruise, departing Monday, 9 March 2015 will see MasterChef winner, Julie Goodwin, on board “Murray Princess” for her third cruise, working with Captain Cook Cruises. Julie will be holding three cooking demonstrations on board and hosting a three course dinner for passengers. The dinner menu will be selected by Julie and prepared by the Captain Cook Cruises’ kitchen. 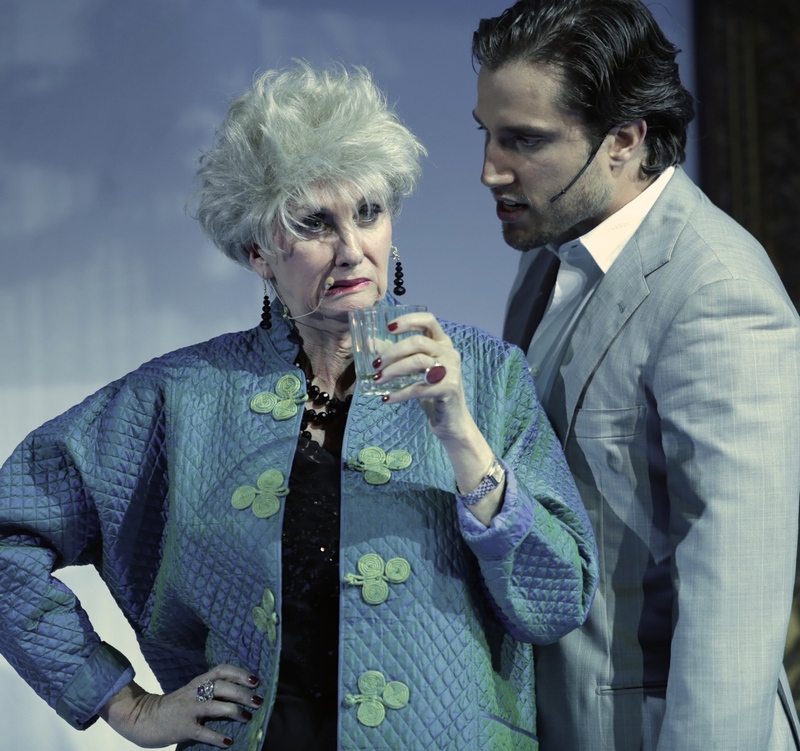 Julie first hosted a specialist cruise with Captain Cook Cruises in 2013 and again this year. She is looking forward to the cruise saying “I had such a great time cooking on “Murray Princess”, when I was asked to do a third cooking cruise I immediately said yes. I’m looking forward to meeting even more passengers on this cruise and having a lot of fun cooking in the kitchen with them. I also can’t wait to return to the beautiful Murray River. The cruise includes all meals, accommodation, three cooking demonstrations by Julie Goodwin, a hosted dinner with Julie, Captain’s dinner, most tours, scenic coach transfers from Adelaide or onsite car parking and all facilities on board, including the use of spa, sauna, gym, sun deck, two bars, two lounges, single sitting dining saloon and entertainment. Julie Goodwin became the first winner of MasterChef in 2009. Viewers loved her honesty, sense of humour and humble cooking style. When her first cookbook, Our Family Table, was published, Julie became one of Australia’s best selling authors; her book held the number one slot in the book charts for over ten weeks. In 2012, Julie dusted off her MasterChef apron for charity in MasterChef AllStars, raising an incredible $15,000 for Oxfam in the process. 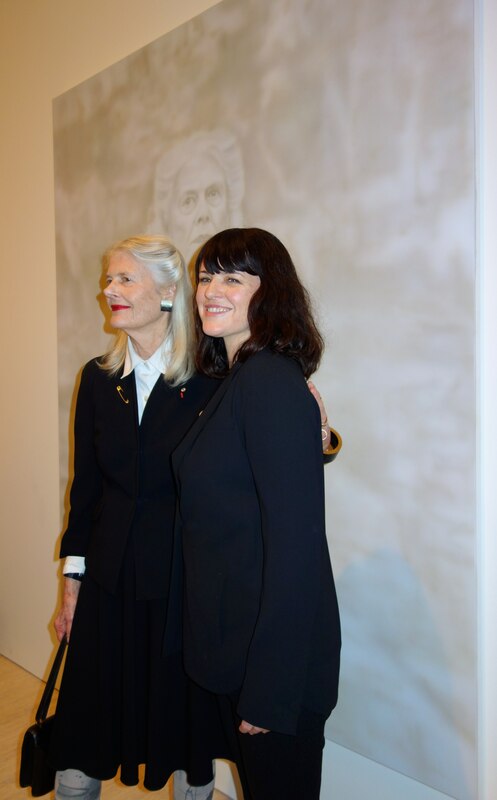 Julie writes a regular column in Australian Women’s Weekly and released her latest cookbook Gather in March 2013, which celebrates the family focused style of cooking she loves. Her next book is due out in October 2014. New Hampton Bar, the latest hot spot in Bayswater Road, Kings Cross is where you’ll find HARVEST @ New Hampton, a restaurant that’s a great dining experience and well worth a visit. 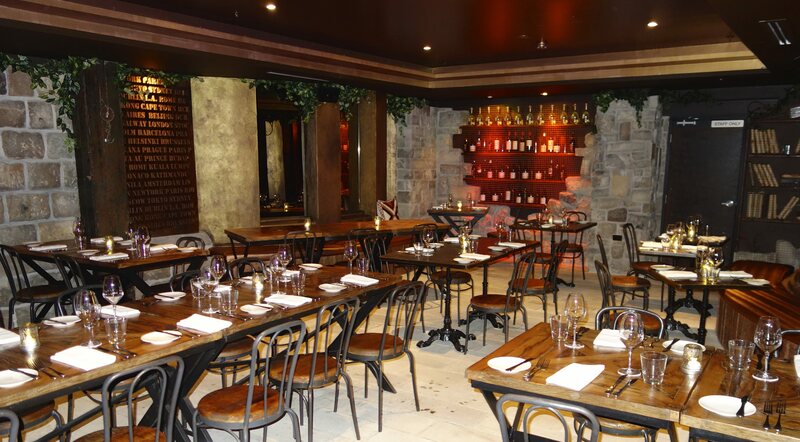 Giving off an air of charm and warmth, with a touch of sophistication, in a rustic setting of sandstone clad walls and exposed wooden beams, this venue is perfect for food lovers. Arriving in Australia seven years ago from England,Chef Ben Palmer prides himself on his flavoursome, tasty mouth-watering dishes. Using cuts that other restaurants don’t often use means the menu can range from lambs’ brains to Duck Liver Parfait. Ben said “When you are passionate about what you do you’ll always make sure that what you create is the very best quality. I am always the last person to see the plates go out and make sure they are to my standards”. The night we decided to try Ben’s cooking, there was a live jazz band playing in the bar beside the restaurant, which provided a lovely vibe and pleasant atmosphere. The music did not overpower the room but it enhanced our enjoyment of the evening. As we perused the menu, which had an interesting and varied choice of dishes in each category, we began with a glass of Ruinart Champagne, selected from their extensive wine and cocktail list. For entrée I chose the Potato Gnocchi, Cauliflower, Sultanas, Pine Nuts & Parmesan. The gnocchi was beautifully soft and literally melted in my mouth. I also liked the flavours of the pine nuts and parmesan, which were a perfect match for the dish. 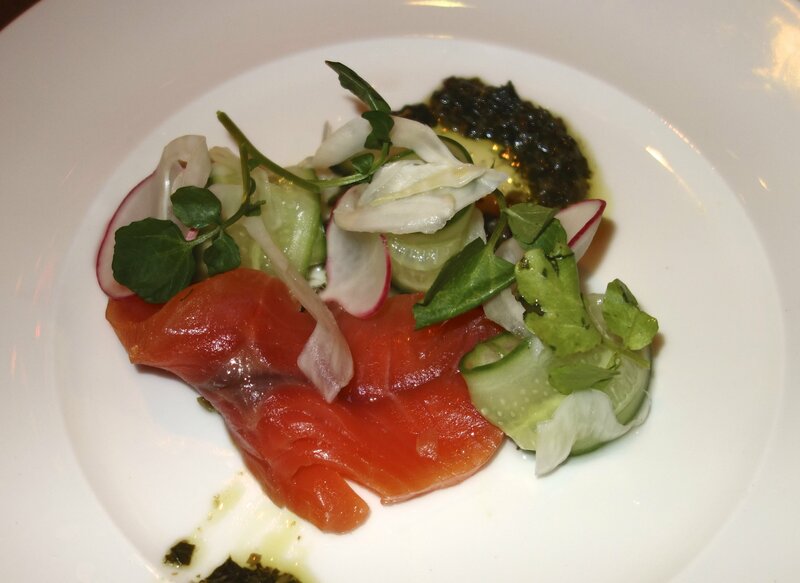 My partner chose the Citrus Cured Ocean Trout, Pickled Fennel, Cucumber & Radish Salad. I could not take my eyes off this colourful dish and I must confess, my fork gravitated to the plate, as I had to try it. Verdict – delicious. The mains lived up to the excellent standard of the entrées. 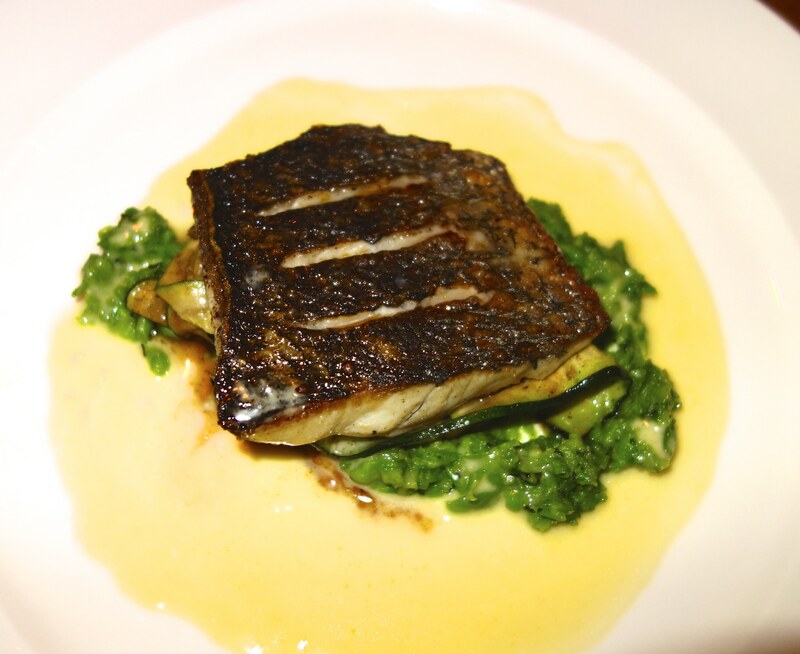 I had the Palmers Island Mulloway with Pea Puree, Zucchini & Buerre Blanc. When served, the portion of crispy skinned fish looked very impressive, sitting on the bed of vegetables. Cutting into the soft white flesh, I found it to be one of the most flavoursome fish I had eaten. Definitely one I would order again. served with Duck Sausage, Kale & Lentil Sauce. This is one of Chef Ben Palmer’s most popular dishes. 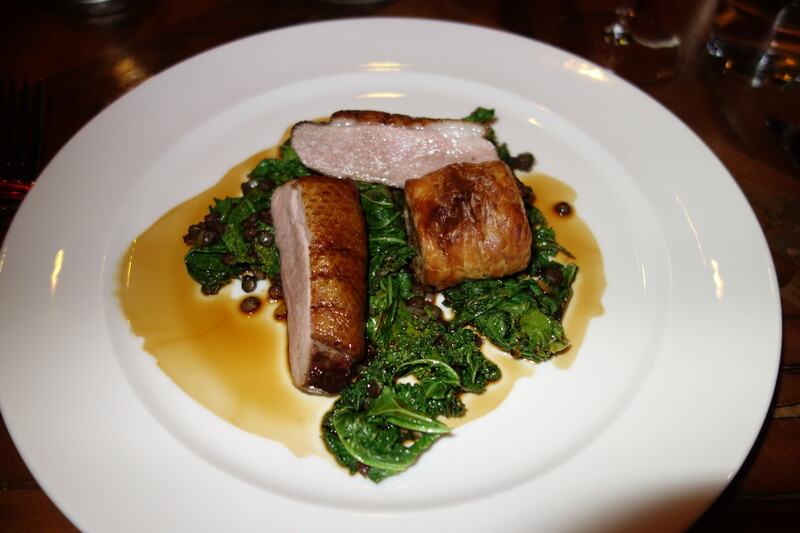 After eating the beautifully cooked duck, my partner could see why it was so popular. The only disappointment was the side order we shared of Handcut Triple Cooked Chips & Saffron Aioli. These had a greasy consistency, but would have been perfect had they been crispy. 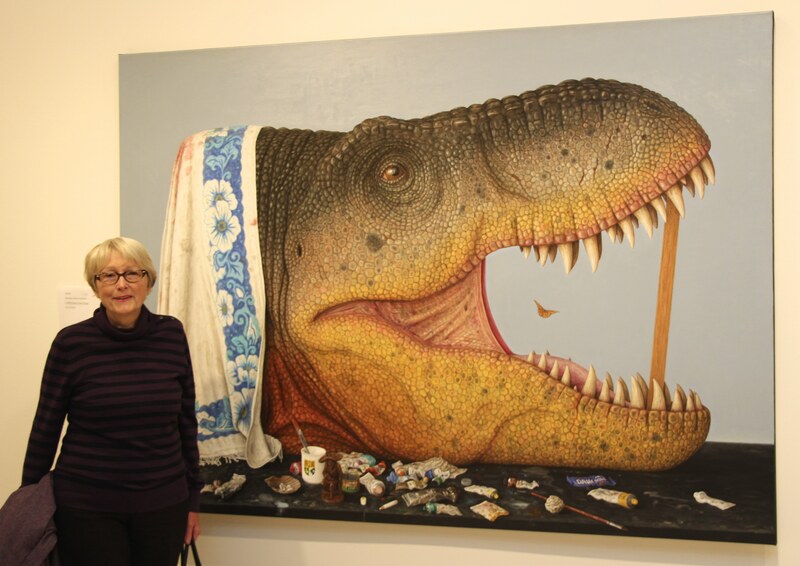 You are currently browsing the SANDRATBLOG.COM blog archives for July, 2014.